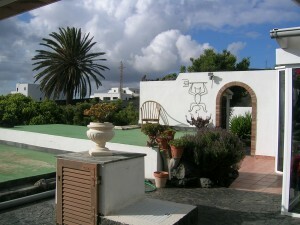 This great villa is situated in La Asomada located right in the center of Arrecife and Playa Blanca. 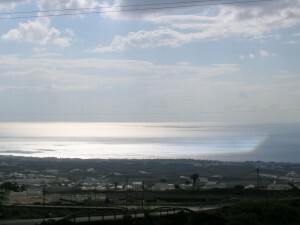 It offers wonderful views from the terrace. There is the main house and a self-contained apartment. The main house consists of 2 bedrooms and 2 bathrooms, separate kitchen, hall and living-room. 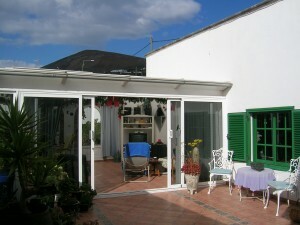 Part of the main terrace on the left of the entrance is the conservatory (left foto), next to it the outdoor sitting-area. The garden you find behind the wintergarden with a little fishpond surrounded by canarian plants.